Happy New Year, guys!!! Let's just jump right in here--about a month or so ago, I was contacted by an editor of Country Living magazine asking permission to use one of my photos for their upcoming "Decorating with White" edition. 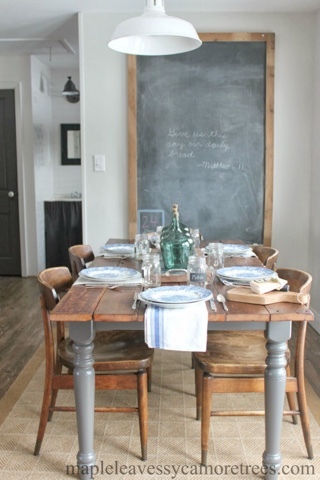 The photo is one of our dining room, which includes a couple awesome DIY projects we did (our barnwood table and chalkboard). Obviously I was thrilled the editor asked and whole heartedly agreed for them to use my photo. Not only was I pumped they wanted to use a picture of a room in our house, but I was honored because I actually took the picture. It's always neat when your work is recognized and appreciated. 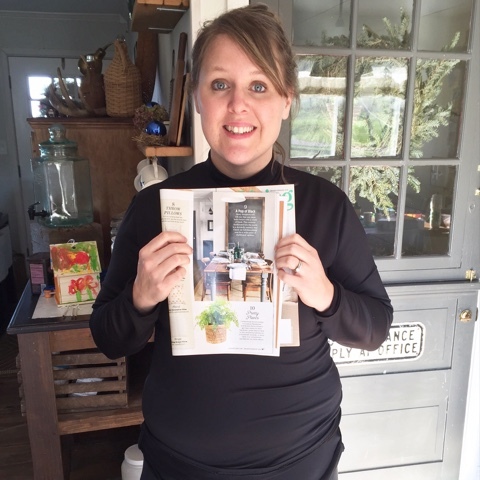 This image has been pinned a ton and has been featured over on Design Mom as well as Better Homes and Garden's website, but now it's in a magazine! Pretty cool. People always ask if I get paid when stuff like this happens. This time I actually did. While I didn't start my blog to make money, it's always a perk when you do ;). So with the money made, Ry and Bryce will get swim lessons and I'm going to buy myself a Le Creuset Dutch oven...ha! Thanks, CL, for that! 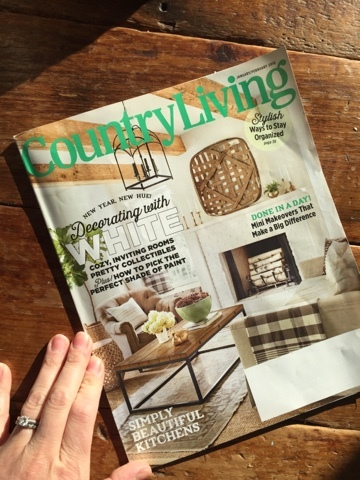 You can find the picture in the Jan/Feb issue of Country Living. It's a great issue altogether, so I really recommend your getting a copy. Lots of eye candy! Anyway, I wanted to thank YOU GUYS for your continued support of this here blog. As 2016 commences, I'm trying to figure out where this blog is headed and what's in store. Definitely the boys' bathroom WILL GET DONE THIS YEAR. I promise you that! But in the mean time, follow MLST over on Instagram and Facebook. Thanks again, guys! Thanks for your support, Ardith!! Woah that soooooo cool! What's even cooler is that you're actually getting paid for getting in the magazine. Total bonus! Love your blog and your DIY's are awesome and inspiring. Thanks, Christy! I appreciate your support! Where did you get your chairs? I like the look you have created.